-As much as I want to put in a chandelier, I live in the south, the ceiling fan really needs to stay- but at least there is a tres ceiling. How COOL is this chair? I actually bought it at Homegoods for $499, but then had to be real with myself. I like to change things. OFTEN. So I just couldn't commit. I returned this awesomeness because I know the citrine that I love so much will hold me hostage at some point. Can anyone else relate to this? I wanted to cry that I couldn't run with it. Sadly, I really needed it to be flax linen. I know, boring Shelli. Boo. There are many times I passed up on beautiful things at great prices at HomeGoods, Target, even JC Penny (all furniture and home accessories) simply because I don't have the place to put it. Boohoo.. Anyway, I can't wait to see what you come up with for your guest bedroom. K Im glad Im noot the only one who still believes that ceiling fans are a must in the south! Your going to make your guests feel quite welcome. Going to look good! I can definitely relate. My first house had a different color in every room. So this one started off very neutral and I am layering color into it very strategically. Can't wait to see the room come together. I love what you have chosen so far. Love the chair, but agree, I tend to stick with neutrals on larger pieces for that reason. check out this steal. perfect color and great price. Well if it looks like any of your other rooms in your home its going to be AMAZING!!! cant wait to see it!! also check overstock.com -they sometimes have good deals on chairs. Also if your not a member of OneKingsLane sign up for that its free. Also there's Joss & Main & The Foundry- I've bought both chairs and rugs from them. I can't wait to see it all pulled together. 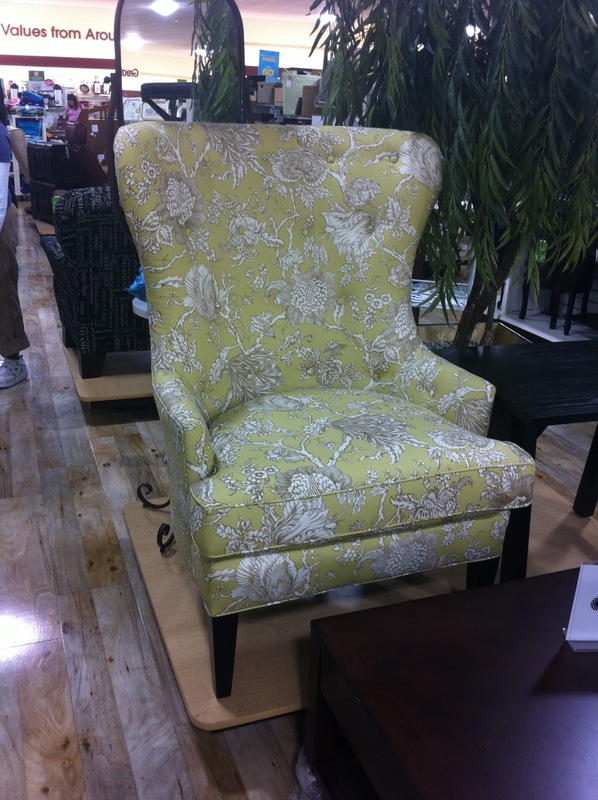 I saw that chair in Homegoods on Saturday. You know I went on the hunt for settee/banquette!!! I'm sure it will be amazing when you're done. I really wanted a chandelier in my master bedroom. However, living in Alabama in the summer a ceiling fan is a must. I am with you...no print on upholstery.....to expensive to change...pillows...now that is a horse of a different color. Bring it! with or without that chair, that room will turn out awesome! Where did you find your wall decorations/hangings? I love the duvet, such a pretty pattern! As for the chair, I couldn't do it either. I would have to have it in white or linen. I would rather change a pillow than all of my furniture!You made a good decision. Why can't we all just be rich enough to buy the stinkin' chair and replace it with an even better chair when we get tired of it. I love where all of this is heading! Can't wait to see it all finished. I feel your pain on the chandelier/ceiling fan inner turmoil. I did that with a $$$ red leather club chair a few years ago...now my living room for the past five years has to be either red or with red accents, because my husband won't let me get rid of it. Have kicked myself many times for not getting it in brown. Calypso St. Barth for Baby K! 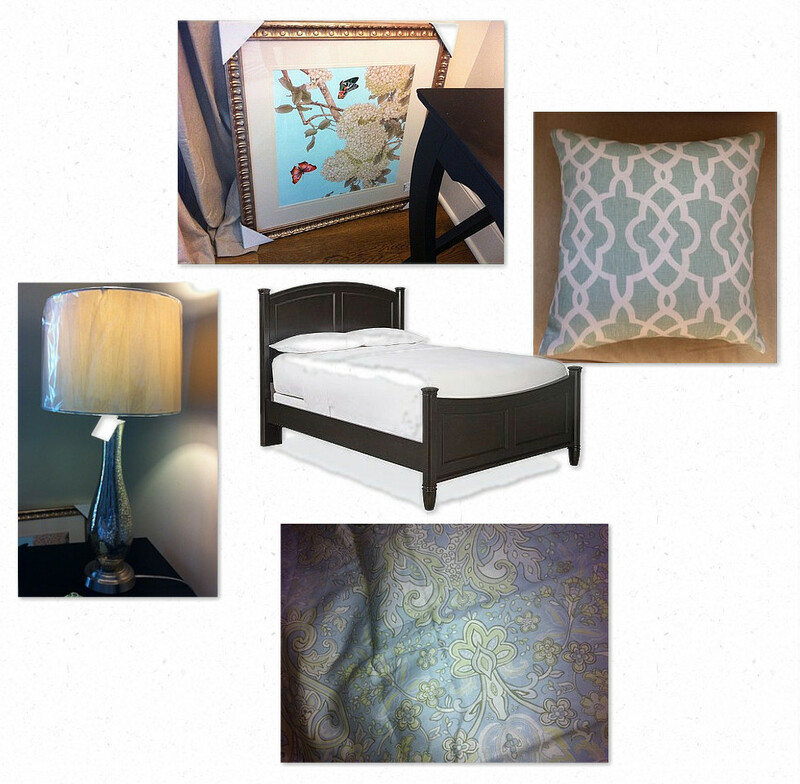 Lamp Shade Designs - GIVEAWAY! Guest Post and a WINNER! Mad for Melamine- etsy alert!